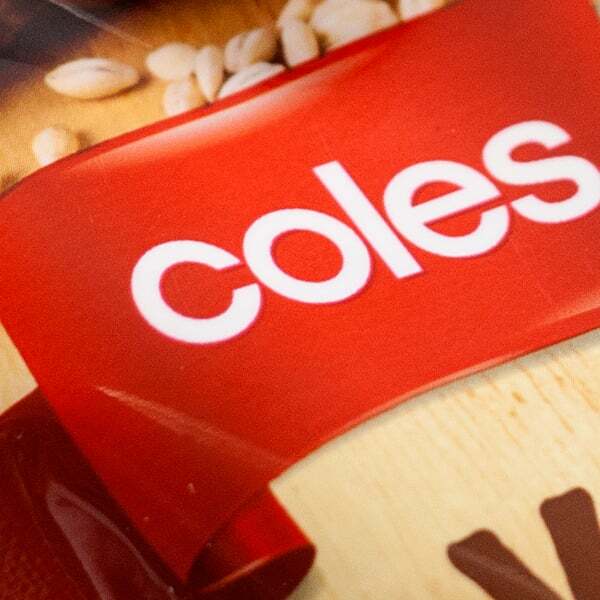 An Australian icon, Coles, operates more than 2,300 retail outlets across Australia, employs more than 99,000 people and makes approximately 19.9 million transactions each week. 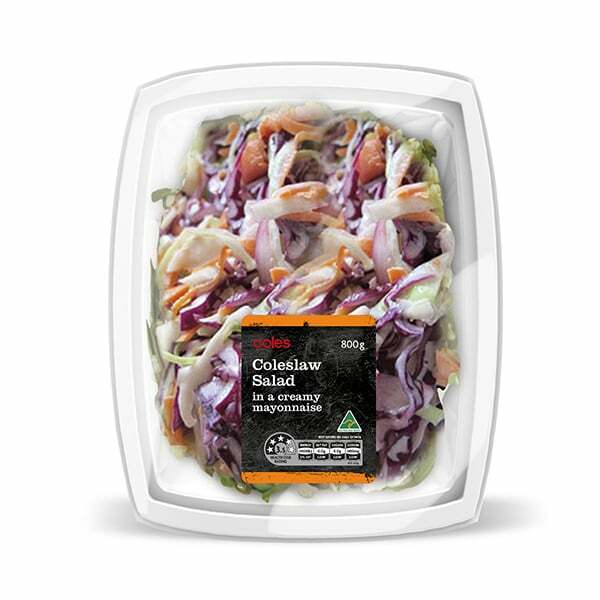 Seeking to expand its share of Australia’s $90 billion food and grocery sector, Coles is undertaking a massive overhaul of its private label packaging. 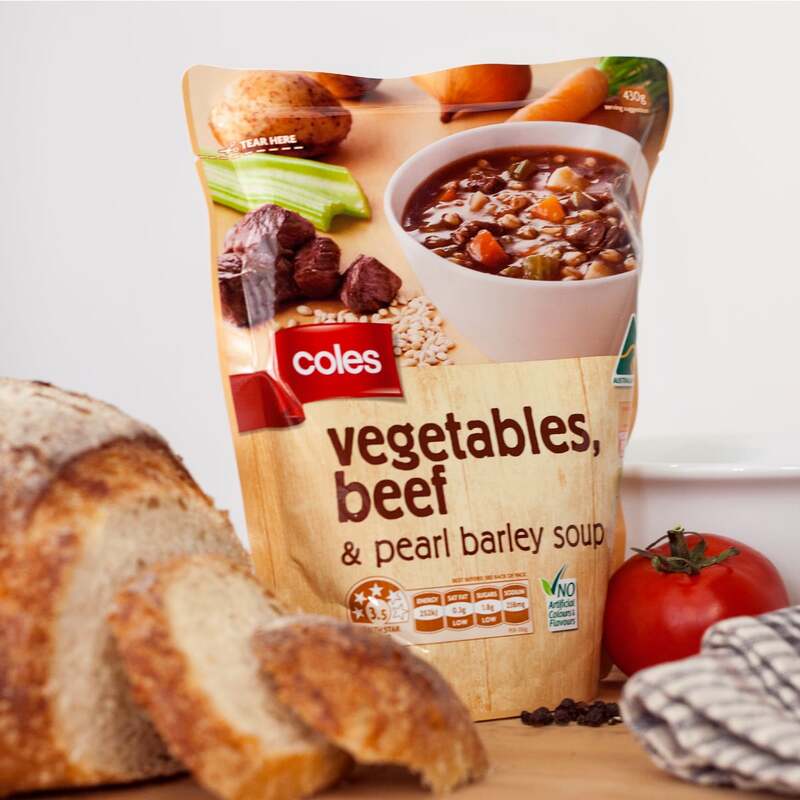 Under its new strategy, Coles’ multi-tiered portfolio of brands have been consolidated into one. 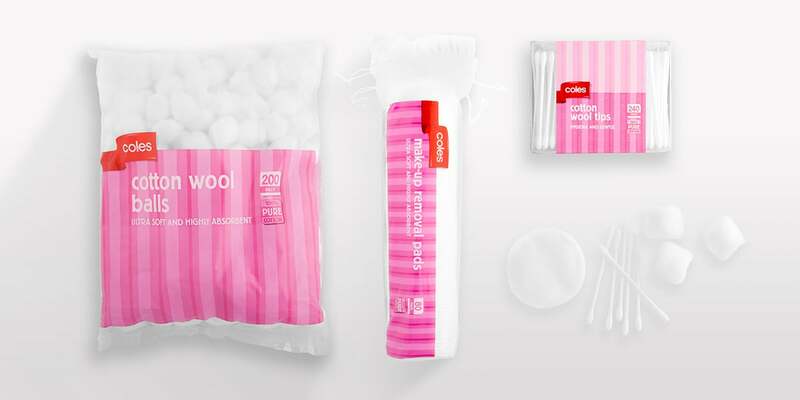 In 2012, Coles chose Davidson Branding as one of its partners to rollout the new ‘red ribbon’ design. 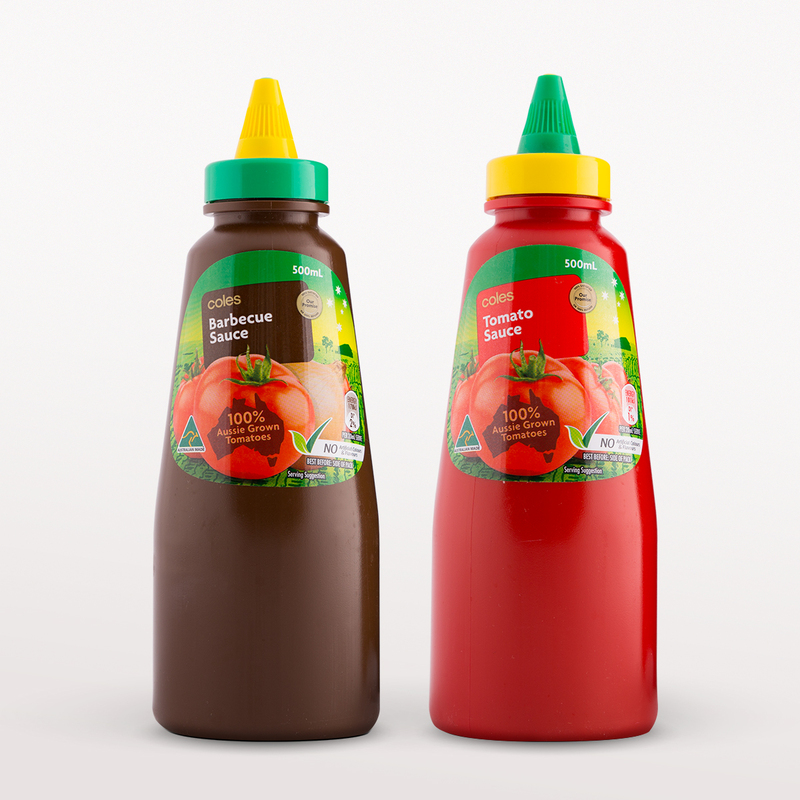 Since our appointment we have developed pack designs for several categories including fresh, grocery, personal care, dairy, milk products, fruit juices and beverages. 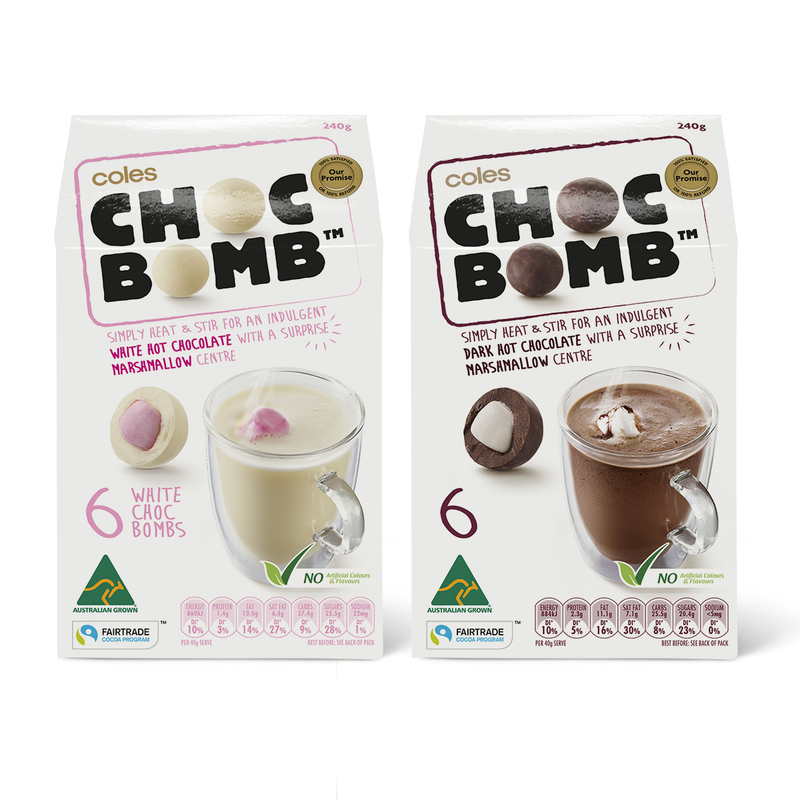 Each of these meets or exceeds Coles’ design evaluation criteria – confidently branded, great appetite appeal, consistent and visually uncomplicated to make customer navigation easy. Our scope of work for each range includes competitor and consumer analysis, category design benchmarks, shelf stand-out analysis, design, finished artwork and production liaison. 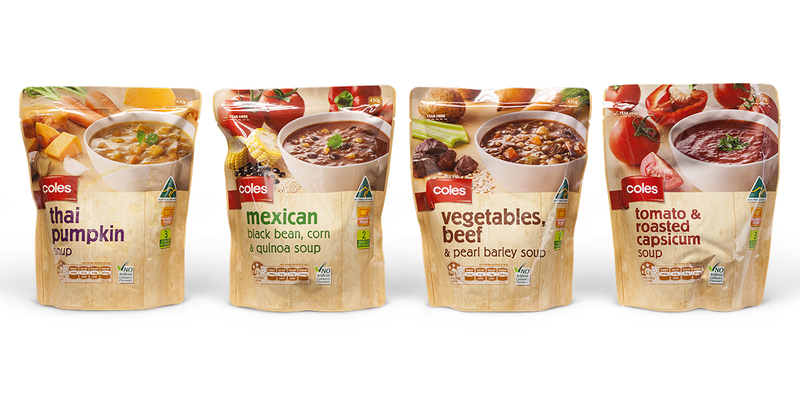 Our soup packs have the distinction of being one of the supermarket’s best sellers and Coles is well on track to increase its penetration of the private label market in Australia.